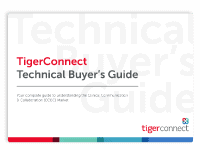 SANTA MONICA, CA – March 1, 2018 – TigerText, provider of healthcare’s most advanced, reliable, and widely adopted clinical communication and collaboration (CC&C) solution, today announced that it has officially changed its corporate name to TigerConnect. The new name more accurately reflects the solution being provided by the company to the evolving healthcare landscape that must be always-connected, fully integrated, outcomes-oriented. Effective today, the TigerConnect name and brand elements will begin formal implementation across the company’s product and services using a phased approach throughout 2018 for the newly designed brand identity. More than a simple name change, the TigerConnect name succinctly characterizes the company’s ongoing commitment to advancing healthcare-related outcomes for both patients and healthcare professionals. Northern Westchester Hospital (Northwell) – By creating over 200 user personas and linking them to their scheduling system, Westchester has realized productivity gains across the organization, including an average improvement of 13.3-minutes in transport times between facilities and one location that saw a 34-minute jump in time saved. Lake Wales Medical Center (CHS) – This CHS-owned community hospital in Florida used Automated Persona Management to cut overall consult times by 74% and GI consult times by 90%. Jefferson Health-New Jersey (formerly Kennedy Health) – This multi-facility integrated healthcare delivery system saw ED visits among a select group of super-utilizers drop 73%. Kennedy also saw readmission rates for congestive heart failure (CHF) go down 22.2% while COPD rates fell by 8.8%. 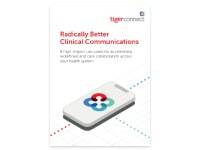 To help catalyze the market’s transition from secure texting to the more complex clinical communication framework, TigerConnect is unveiling a host of new technical components and capabilities that leverage artificial intelligence and machine learning to streamline the speed and quality of care delivery within the hospital. Clinical Connection Hub – Intelligently merge all of your systems – EHRs, nurse call, imaging, labs, and scheduling – on a single, centralized, mobile communication platform for instant access to relevant, timely, and contextual conversations and information. Patient Smart Cards – View patient alerts and alarms via cleanly designed ‘cards’ with action buttons such that populate in the message feed for fast responses or escalations. Automated Persona Management – This component merges the scheduling system with role assignments, making any on-call staff member instantly reachable by role (e.g. On-Call Cardiologist) using text or VoIP-enabled calling. Intelligent Shift-Based Routing – Real-time messages reach the correct role owner throughout a shift while shielding off-duty staff members from errant calls or messages. Shift-to-Shift Activity Handoffs – Preserve continuity of care with conversations that persist from one shift to the next, organized by role, including context around the patient’s condition, treatment recommendations, results, images and more. Escalation Rules – Instantly reroute messages that go unread based on a pre-programmed hierarchy of alternate on-call clinicians; fully configurable by IT. Task List Continuity – Tasks related to a particular patient link directly to a patient’s care team or specific roles that persist across shifts and departments. New shift owners can pick up where the prior owner left off, ensuring no tasks are forgotten or miscommunicated. VoIP and Video – When care teams require a greater immediacy to communication, users can instantly initiate voice and video interaction with other TigerConnect users. TigerConnect also integrates with a health system’s PBX system for connected real-time communication. 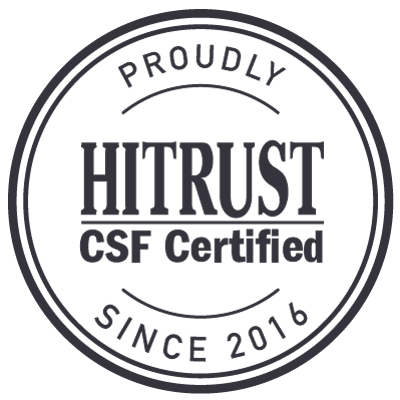 For organizations with standard secure messaging requirements, TigerConnect’s product lineup includes the original TigerText Essentials secure mobile messaging solution that provides HITRUST CSF-certified messaging along with a host of features for improving team communication 1-to-1 or in groups. For organizations in search of advanced functionality, there’s TigerFlow, a premium, enterprise-grade solution for improving CC&C ROI across a broad range of workflows and use cases. TigerFlow allows care organizations to solve for specific outcomes centered around resource optimization, faster transitions of care, fewer medical errors, and higher patient and provider satisfaction. 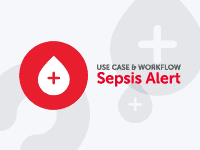 Among its many capabilities, TigerFlow offers organizations an easy way to connect to the EHR, manage a wide range of clinical alerts, and place calls using integrated VoIP technology. The company’s commitment to client success is reflected in its broad support organization that works directly with clients at every stage to streamline communication workflows and achieves the highest possible ROI. For more information, follow TigerConnect on Twitter, connect with us on LinkedIn and visit TigerConnect to learn how clients like RWJBarnabas, Geisinger, and Lifepoint are using TigerConnect to solve healthcare’s biggest communication challenges.